A great value! 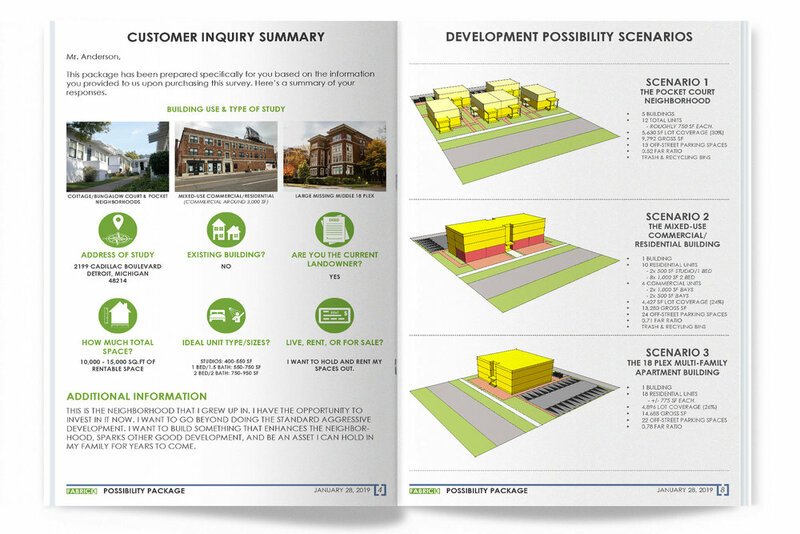 The POSSIBILITY PACKAGE includes all the features of our ZONING SUMMARY PACKAGE, plus 3 conceptual development scenarios to help you visualize your project. Explore your possibilities and know your development potential TODAY! 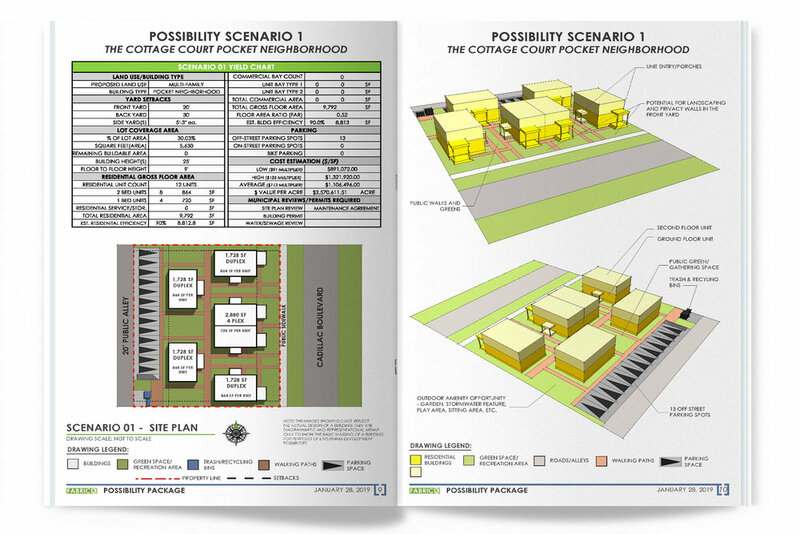 Thinking about building on an empty lot in your neighborhood? 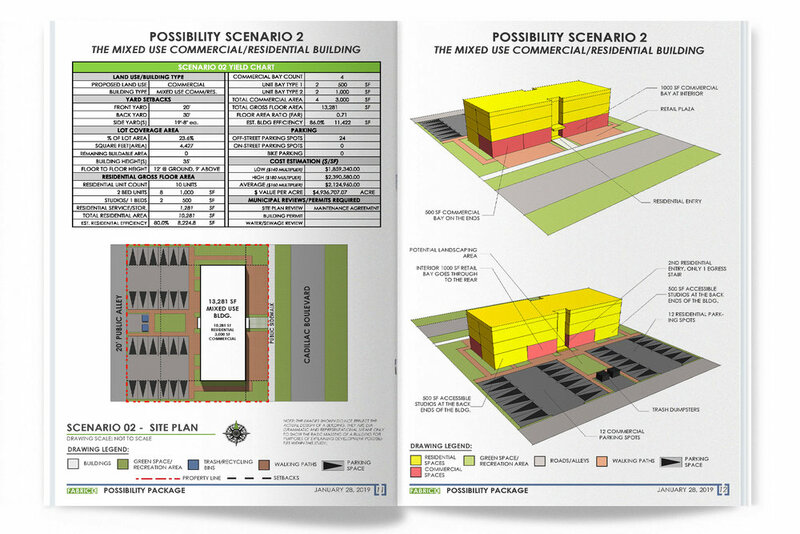 Our Zoning and Possibility Packages are a first step for any project. They are designed to save you time and money by empowering you with the knowledge to determine if a project is worth pursuing or not. TAKE A SNEAK PEEK INSIDE A POSSIBILITY PACKAGE! Visit our shop, choose your product, fill out the order form, and add to your cart. It's that simple. The Zoning Summary Package takes no more than 5 business days to complete, As soon as it is ready we will email it directly to you. If you have questions please first visit the FAQ page , and then contact us at info@fabrick-design.com if you still need answers. CHECK OUT THE INFORMATIONAL YOUTUBE SERIES ON OUR PACKAGES!! !